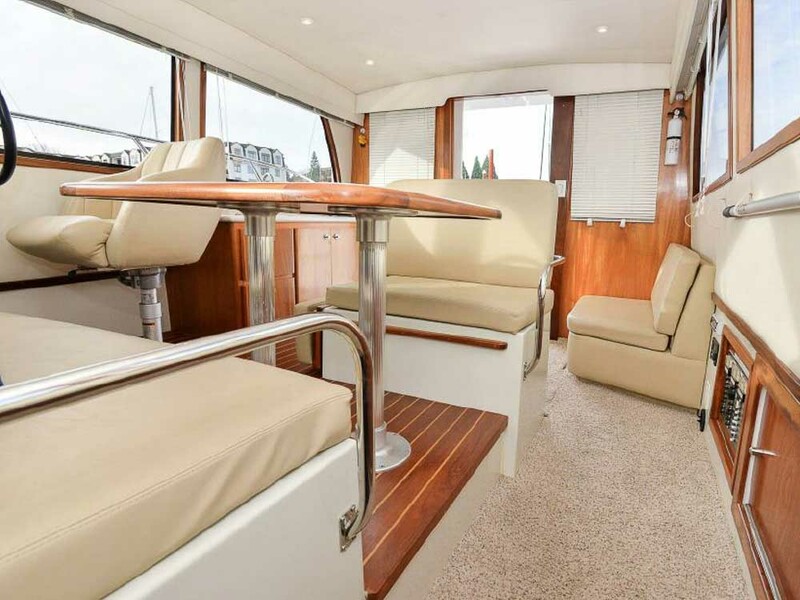 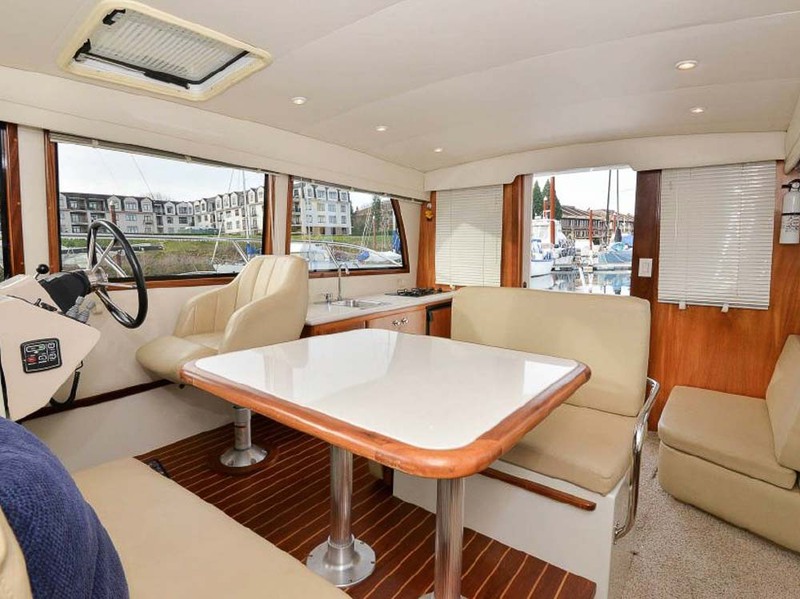 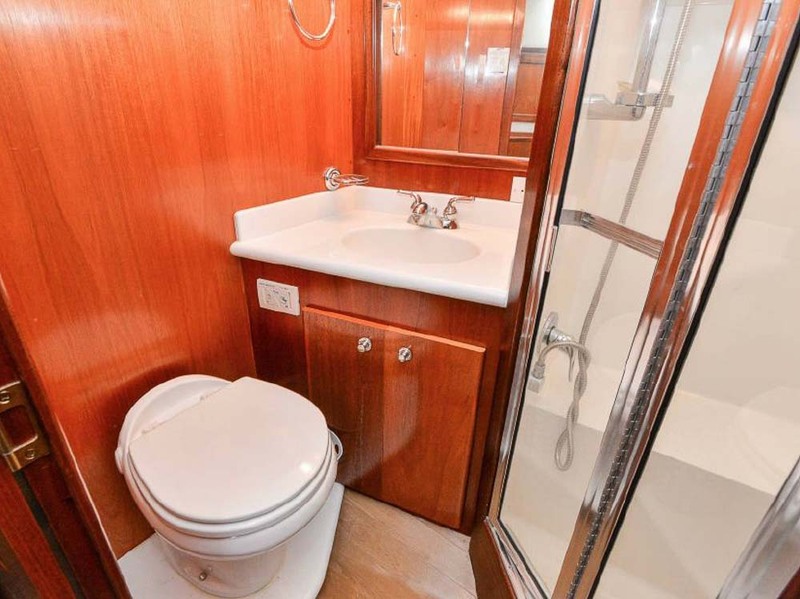 This is an exceptionally well kept, low hour, fresh water boat that has been stored in a boat house. 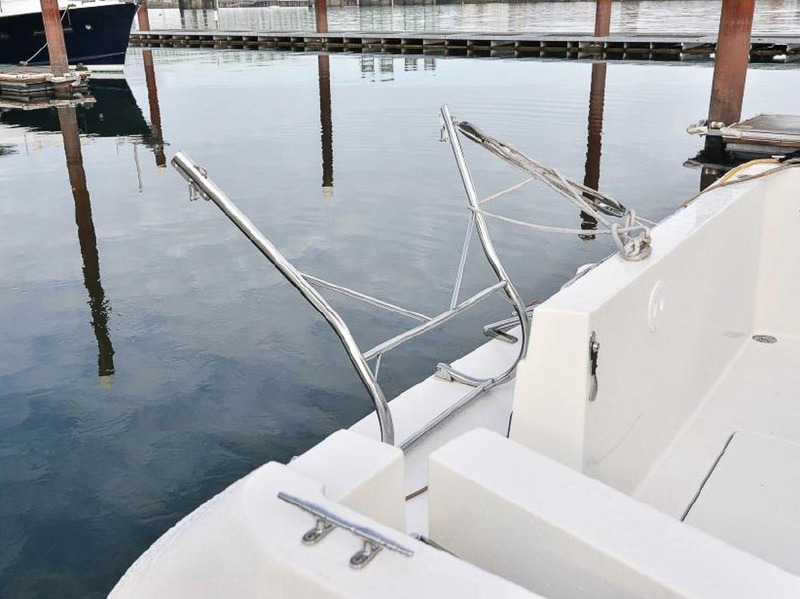 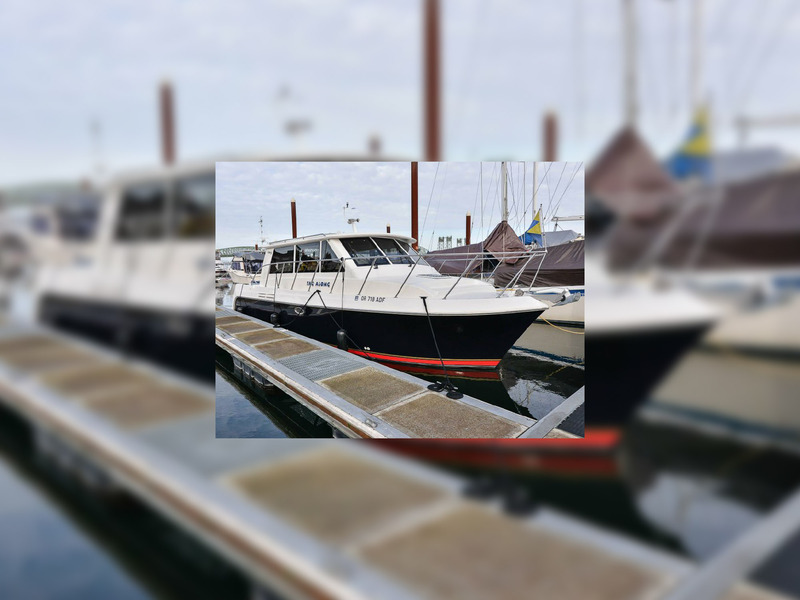 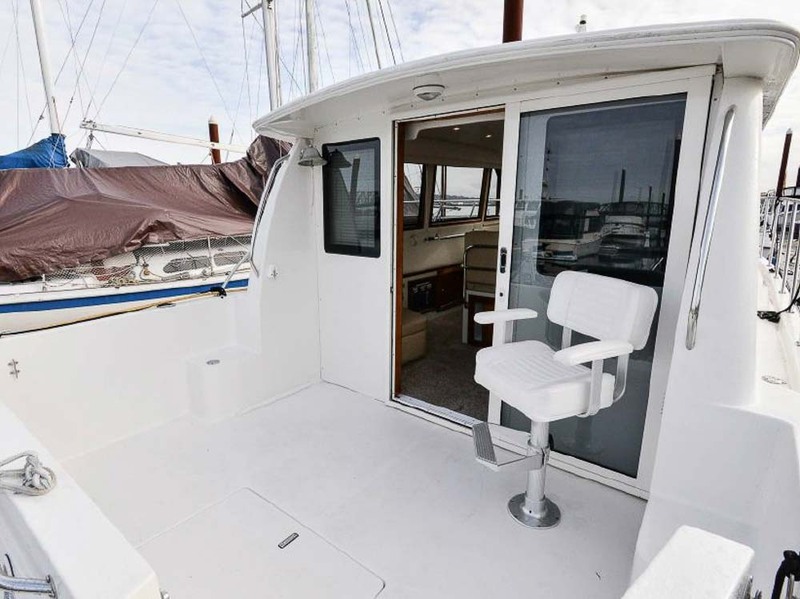 The fresh water and boat house factor mean the gelcoat is in very, very good condition and corrosion on running gear is dramatically reduced versus saltwater kept. 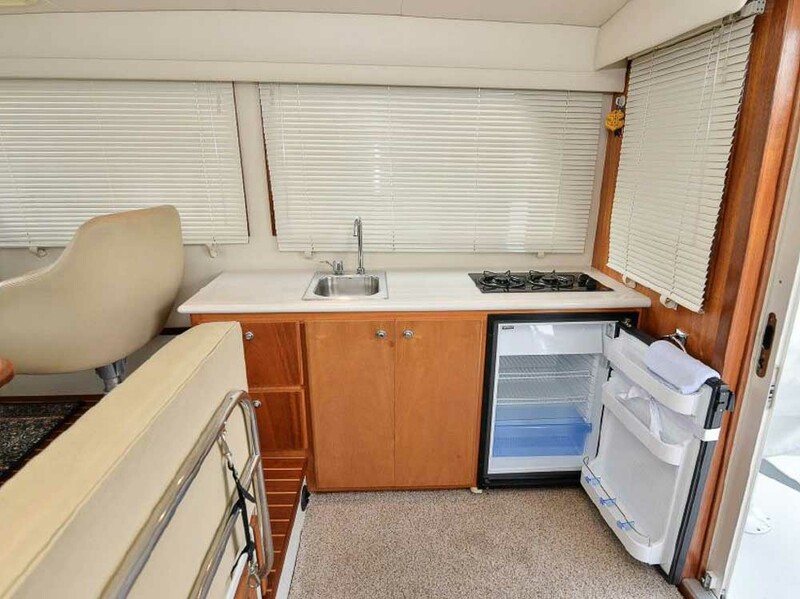 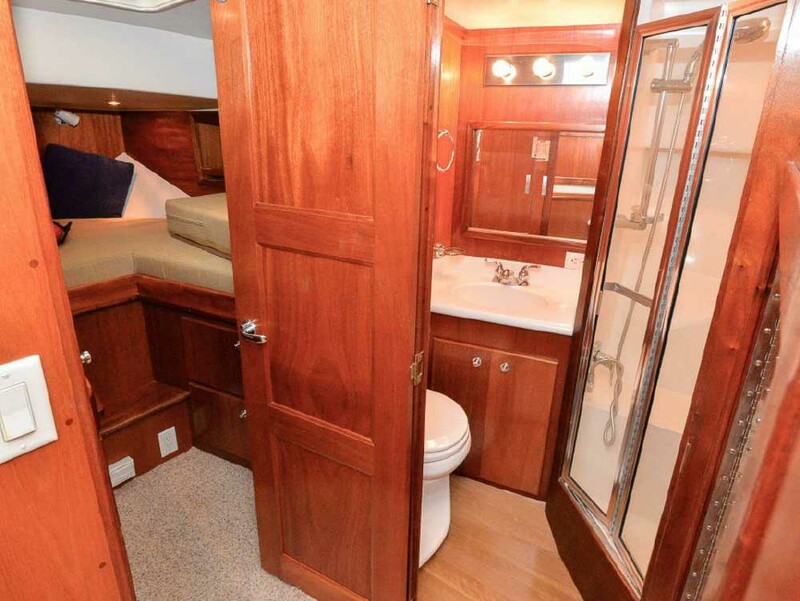 This was a great layout from Navigator/Californian with a master V-berth forward, a great dry head (separate shower stall) and a "tuck under" guest stateroom. 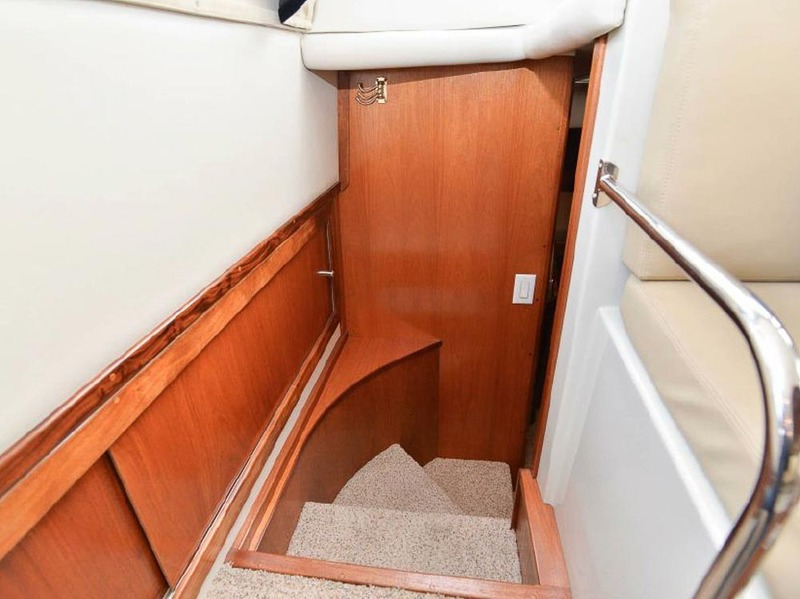 Beautiful mahogany woodwork throughout. 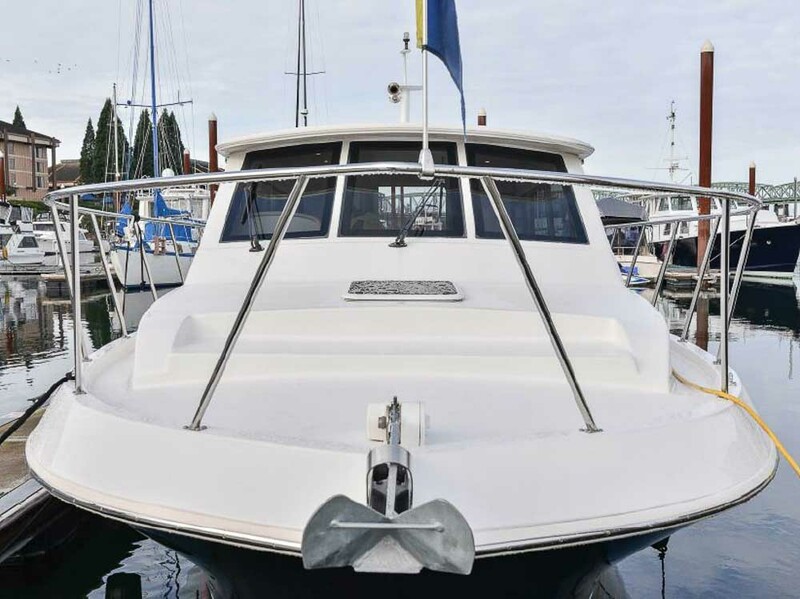 This is an American made boat that was built in Perris California and is a tough, rugged, well made vessel. 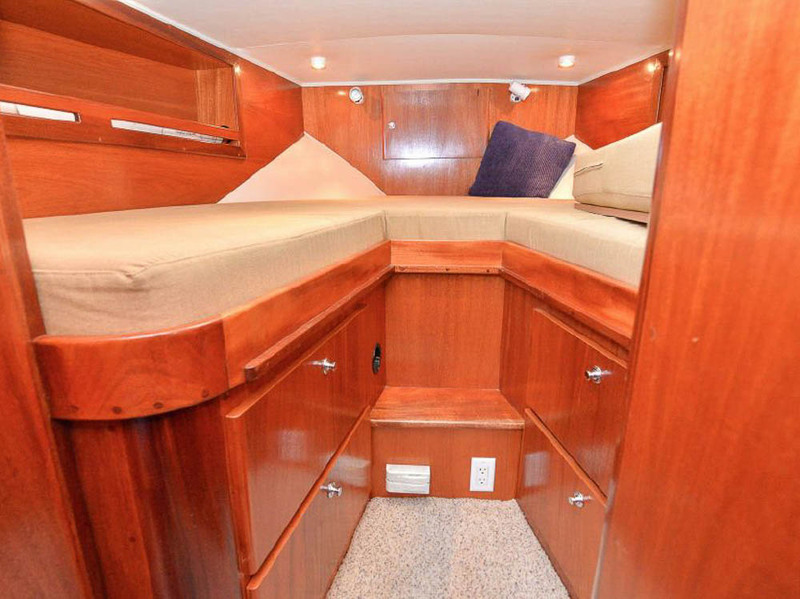 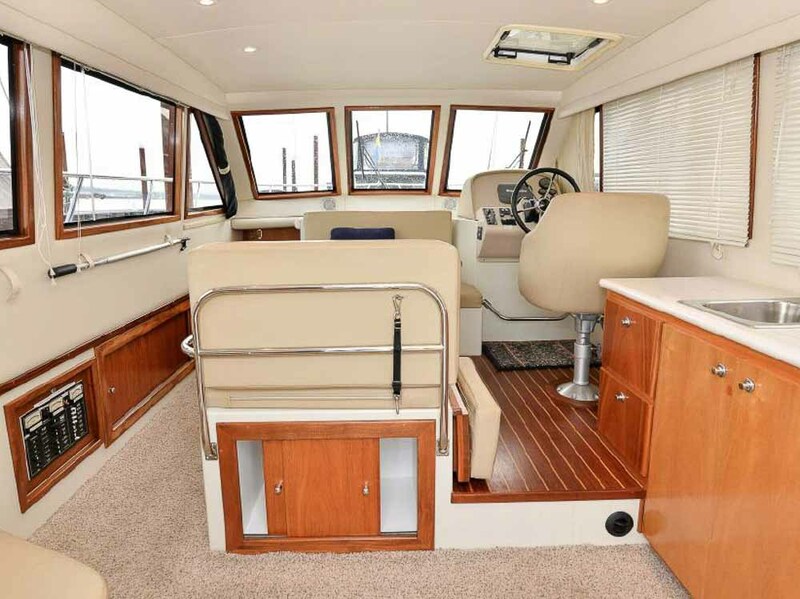 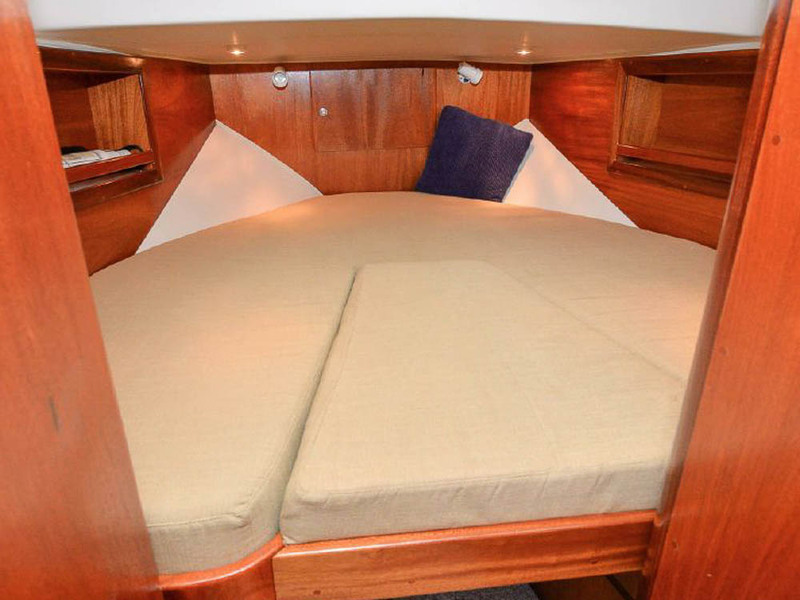 Navigator built all of their boats on thick, solid fiberglass hulls and this boat was no exception. 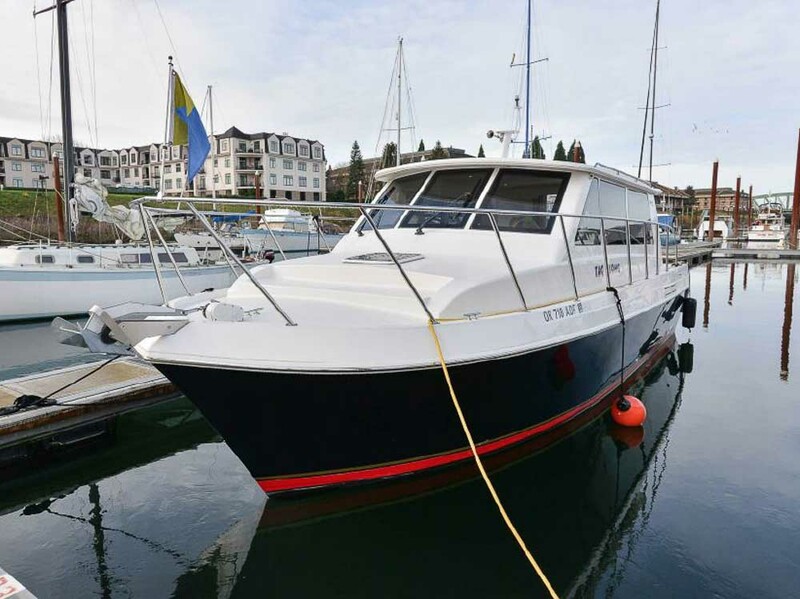 With reliable fuel efficient single diesel power, this is a great Northwest cruiser. 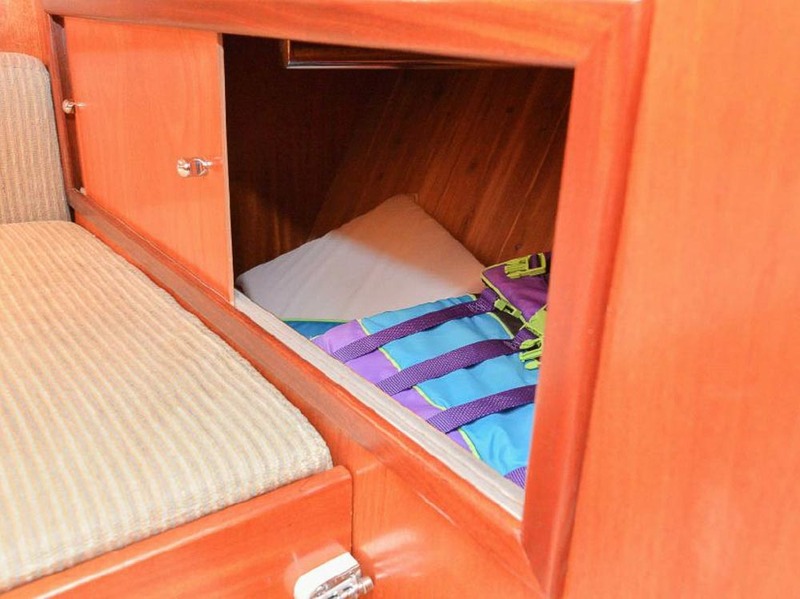 It's also a size that is easy enough to trailer to different regions for seasonal cruising destinations. 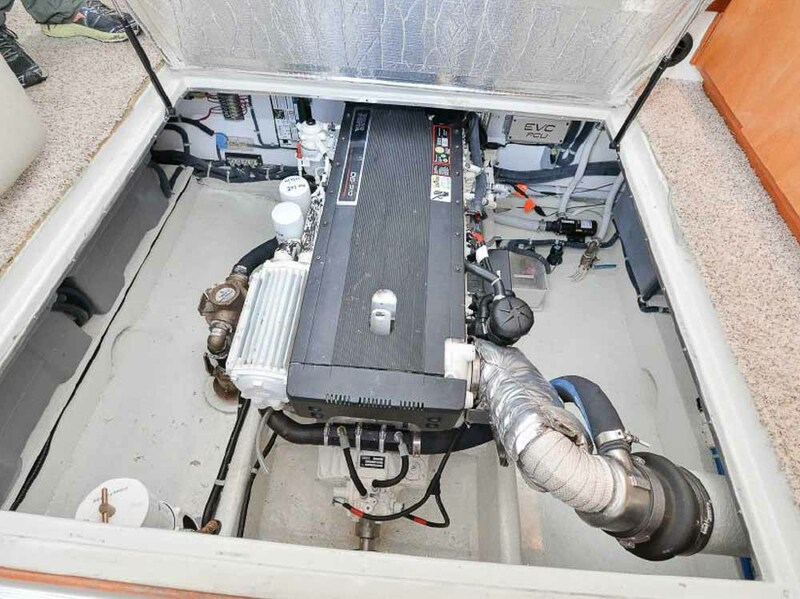 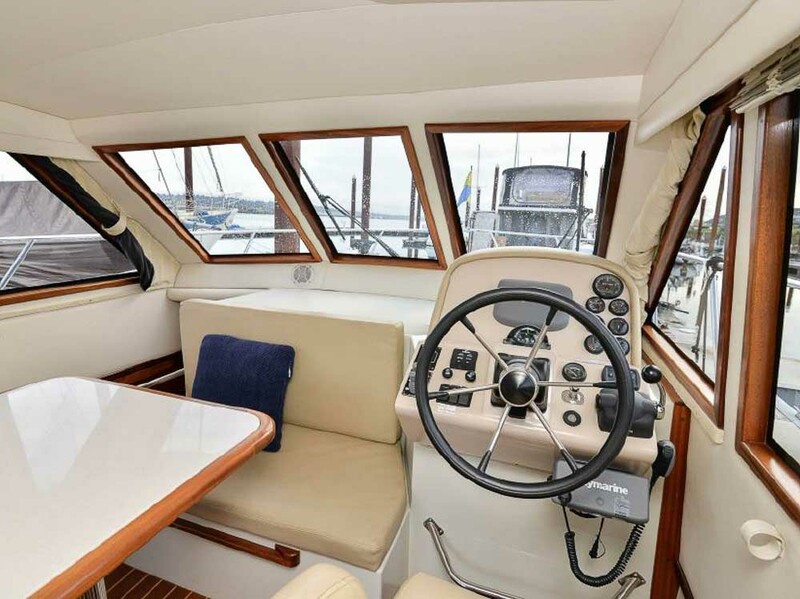 Lots of options: bow thruster, stern thruster, diesel heat, inverter, this boat is ready to go. 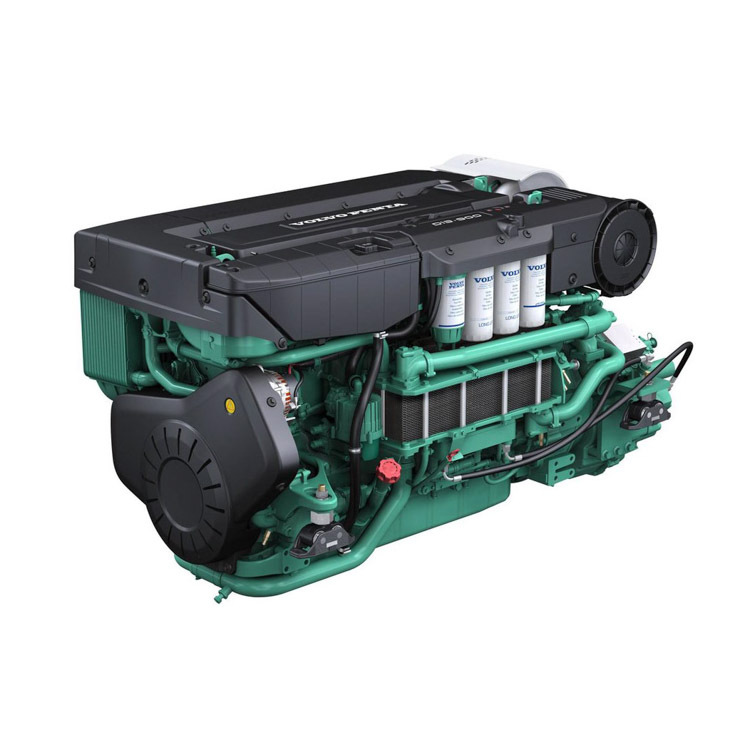 The single diesel engine not only has the benefit of excellent fuel economy and lower maintenance costs, but allows for lots of extra storage room in the engine room. 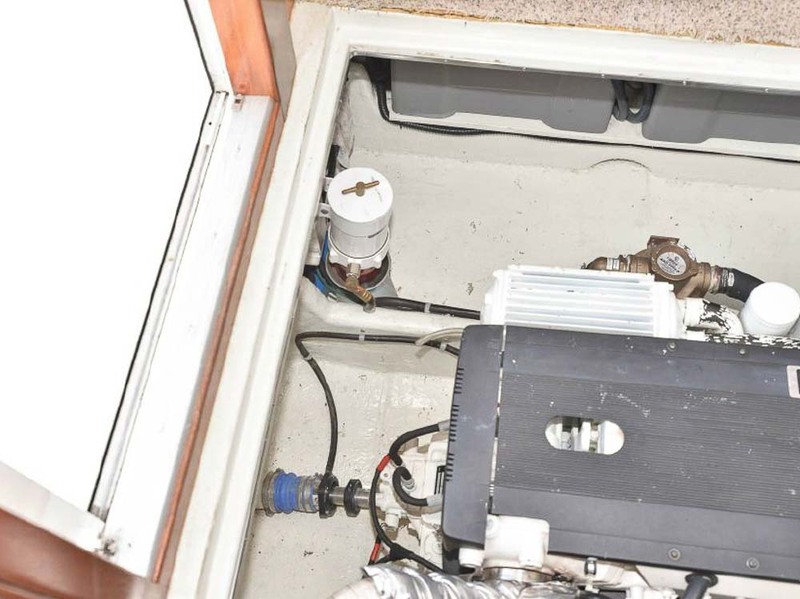 Or additional mechanical equipment. 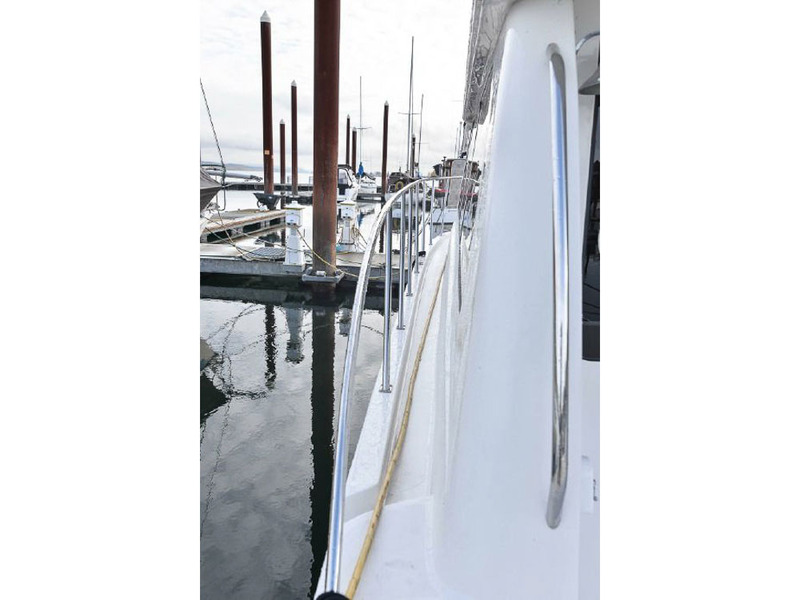 Don't hesitate to contact us today! 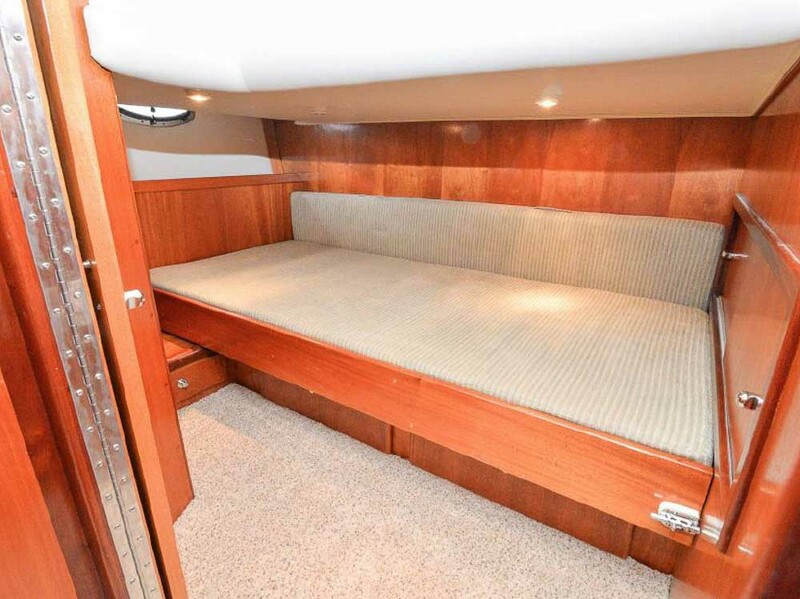 Not many of these were built and this is a lot of boat in 34'.